Please plan on attending an introduction the first time you come they are held weekly at each of the North and South and Central groups, and are held by arrangement at the Southeast (Brockley) group. Introductions are: 7pm Mondays at London Bridge, 7pm Thursdays and 5pm Saturdays at Caledonian Rd., and 6:30pm Tuesdays at Old Street. The introduction is not meant to be a ‘course’ on Buddhism, on meditation, or even on Zen. 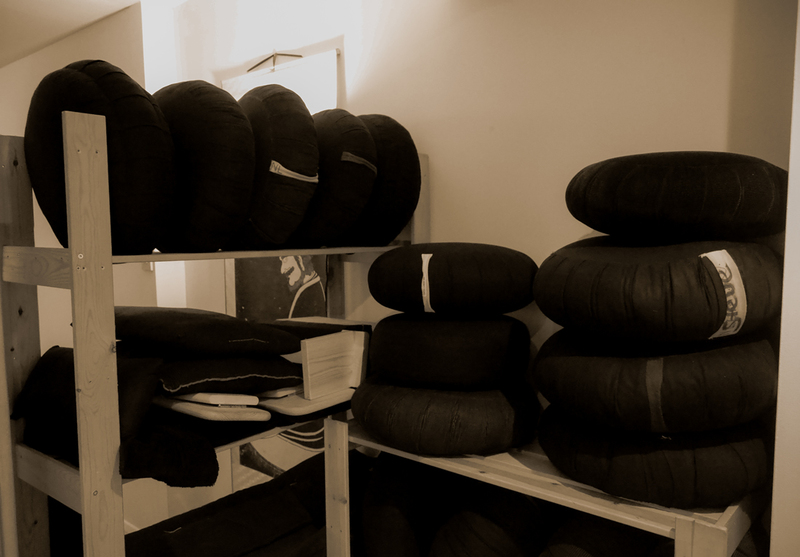 It is simply an introduction to our practice of Zazen, and to the various forms and etiquette we use. Once you have attended an introduction, you are welcome to come and practice with us, or indeed with any affiliated group, whenever you like. Introductions take approximately 20 minutes. Zazen is quiet, attentive, wholehearted sitting – it is a formless meditation; without mantras, counting, levels, or visualisation. We sit still, in the correct posture, letting our thoughts pass, without grasping or rejecting. 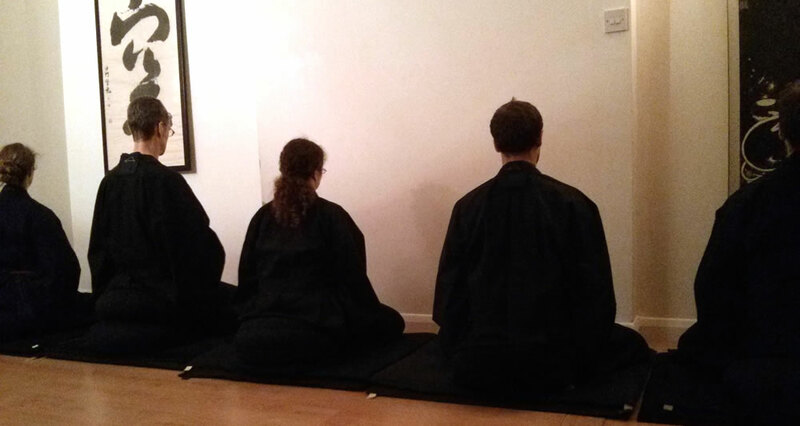 Our periods of zazen are normally about an hour long, with a 5 to 10 minute interval of Kinhin (slow, concentrated walking) in the middle. Morning schedules are a little different, and often we sit straight through the hour, with a short interval in the middle to stretch and change legs. 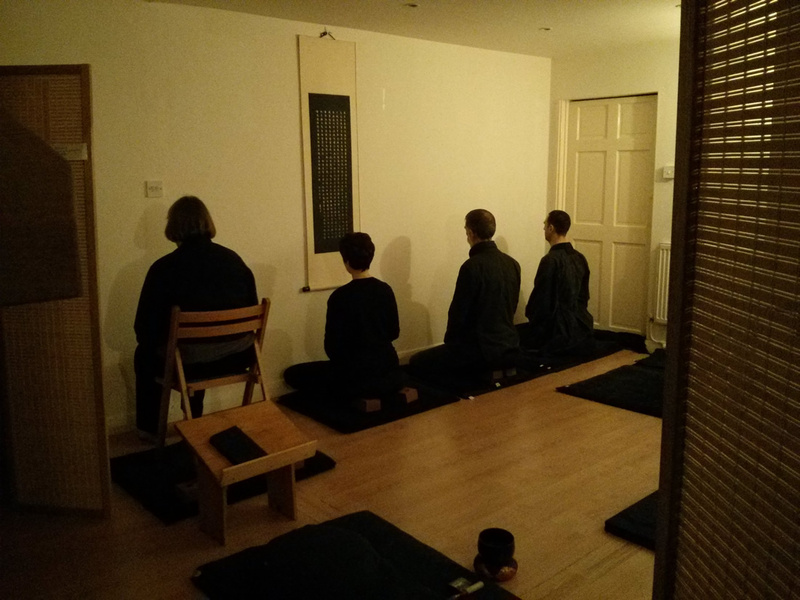 After Zazen, we will chant a few short sutras, you will be given a sheet with the words so you can join in. We chant our sutras in sino-japanese you can see a copy of our regular chants and a translation here. Our morning sittings often have a little more ceremonial aspects afterwards, including prostrations. There is no need to book a space, or contact us to attend an introduction. 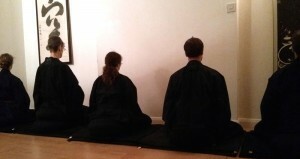 Zazen and introductions are entirely drop-in. If for some reason we need to cancel introductions or Zazen at a scheduled time, a notice will likely be posted on this website, on the front page under “announcements”, but will most certainly be announced via our mailing list – which you can join here. The South London group does not meet on bank holiday mondays. As you will be sitting on a cushion (called a zafu) on the floor, please wear loose fitting clothing. Also, it is customary for us to wear dark or subdued colours and to dress modestly to avoid distracting other practitioners. We never want lack of money to be a barrier to practice. If it’s an issue for you, please speak to the person in charge. Note about cost: we are entirely self-funded, we ask all participants – including the facilitators – to contribute. Ordained participants are asked to pay more, and all facilitators give their time freely to support practice – if you have any questions feel free to contact us. Copyright ©2014 - The London Zen Group. All Rights Reserved. All photos are ours please ask before taking.